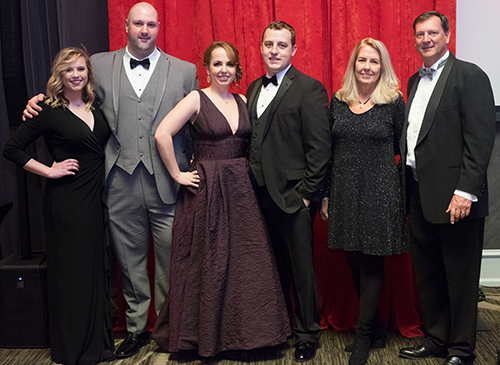 Our team was honored at the 2018 Casino Royale-themed Celebration of Excellence on Friday, March 2nd at the Renaissance North Hills Hotel in Raleigh. The Financial Security Creation Award recognizes our firm’s top financial advisors who help their clients achieve their goals through balanced financial plans and a total needs approach. We were honored to place in the top 27 but being recognized for helping our clients achieve financial security is the best reward! Mike Mahoney has been with our team since 2007. As an Associate Wealth Management Advisor, he is responsible for providing our clients a financial plan for each stage of their life. Mike holds his Series 7 license and holds his CFP & CLU designations. Mike graduated from Elon University in Elon, NC. Mike lives in Greensboro, NC with his wife and two children, who enjoy traveling, cooking, and spending time as a family. Mary Bolen has been with our team since January 2014. As an Associate Financial Representative, she is responsible for all policy and account related servicing. Mary holds her Series 7 license. Mary graduated from NC State University in Raleigh, NC. Mary lives in Greensboro, NC with her husband. Mary enjoys a good book, road trips, and time with her husband and dog. Chris Hudson is married to Bob and has been with our team since 2011. With a background in client service and accounting, Chris has been a valuable addition to our team. Chris and Bob live in Greensboro, NC. Chris enjoys volunteering at Greensboro Day School, is an Ohio native, and loves hiking, reading, and travel. Alex has been with our team since October 2018. As an Associate Financial Representative, he is responsible for all policy and account related servicing, and helping families deliberately become financially secure. Alex is currently working towards his CFP designation and his Series 7 license. Alex graduated from UNCG and currently lives in Greensboro. In his spare time, he enjoys running, making and performing music, reading, and hanging out with good friends. Karly joined our team in February 2019. She is responsible for policy and account related inquiries and is working towards getting her insurance licenses. Karly is a recent graduate from UNCG and loves the Greensboro area. She enjoys exercising and working as a bridal consultant on the weekends.